Often referred to as the 'isle of eternal springtime', Tenerife is the largest Spanish island in the archipelago of seven Canary Islands in the Atlantic Ocean off the coast of Africa. Tenerife has the most varied landscape with extremely fertile valleys and awesome steep coasts. Similar to the other Canary Islands, Tenerife is also of volcanic origin and the volcanic crater Canadas del Teide rests at the center of the mountains. Indeed the name Tenerife is derived from 'Tene' signifying 'mountain' and 'ife' white. The snow capped Mount Teide towers over the whole island. The temperature in this island changes very little over the year making it an ideal holiday destination. Check out details on Tenerife holiday, from Tenerife hotels and Tenerife car rentals to tourist attractions and Tenerife beaches. Learn more about Santa Cruz de Tenerife. Santa Cruz de Tenerife, the second largest city in the archipelago is the capital of this island and it is also the head of the 'cabildo insular' meaning the island government. Santa Cruz is by and large a very friendly city. 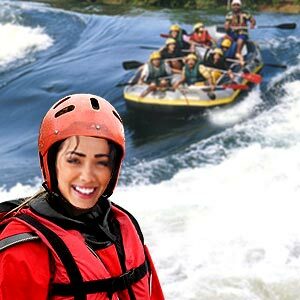 The first thing that strikes the tourist in this city is the beautiful parks 'Park Garcia Sanabria' on the lively streets. This picturesque port surrounded by high rocks is a tourist center that attracts many cruisers from all over the world. Santa Cruz is situated on a large natural bay and has a stunning backdrop of Anaga Mountains which is over a thousand meter high. Plaza de la Candelaria with its impressive 17th century archeology and anthropology museums, the baroque church Iglesia de la Concepcion, Museum of painting and sculpture and the castle Castillo de Paso Alto are places of tourist interest. Shopping is excellent in Santa Cruz. Plaza de Espana and Plaza de Candelaria offer excellent international brands at 'tax free' prices. Beaches Las Gaviotas and Las Teresitas are fantastic tourist locations close to Santa Cruz suitable for excursions. So is the mountain Monte de la Esperanza that is located at twenty kilometers from the town offering an outstanding view over the entire island. Puerto de la Cruz: This is called the 'beauty of the island' and is Tenerife's most visited site. Among other attractions of Puerto is the Loro Park which takes its name after the numerous parrots in these tropical gardens. Jardin de Aclimatacion park lies between Puerto de la Cruz and Orotava. Created in the eighteenth century, this park offers a great variety of plants from all over the world. Museo Naval de la Casa Iriarte, the navigation museum and Castillo de San Felipe the fortress and Nuestra Senora de la Pena de Francia the church are other places worth a visit. 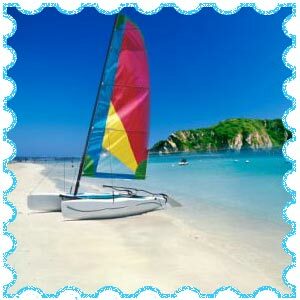 Beaches of Troy: These beaches are very sunny with dry climate. 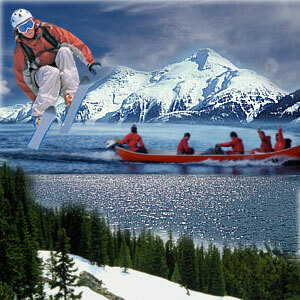 Sporting activities including parascending, speed boat racing and diving are common here. The Beach Wild Paradise and Callao which is a section of the coast is a small tourist enclave. The Creek and beach of the Enramada is a small marine outlet with a stone beach with some restaurants providing fish cuisine. The beach of Diego Hernandez which is next to the Creek is one of the few nudist beaches of the Americas. Beach of the Dune: This coast of the municipality of Grandilla is a small tourist nucleus and the sea here is very deep. The constant winds in this zone make it ideal for windsurfing. Beach of Tejita is an ample fine sand beach and is located south after the Dune from Red Mountain. These beaches are famous for their dangerously high currents. Beach of Sand is located between Low tide and End of the Hidalgo with black sand or callaos. Pedal boats, tumbonas and parasol are found in plenty. A beach garden has come up recently a kilometer away from the Port. Nearly 200,000 cubic meters of sand has been extracted from the marine bottoms and has been used for this garden. Tenerife features the lowest temperature difference between summer and winter for anywhere in the world. There is no specific rainy season in Tenerife although there are occasional rains. 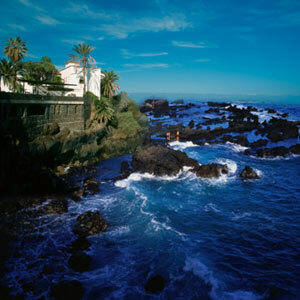 The coastal areas of Tenerife enjoy the most sunshine, the best weather and the least clouds and highest temperatures. Of course, there are regional variations in the weather at Tenerife with southern half of Tenerife generally warm and sunnier than the north where the mountains block the winds and trap humidity. The mountains experience varied climates with snow on top of Mount Teide, where days are hot and nights are cold. Below the clouds, the island has a subtropical environment with warm weather and sporadic rain. The property business has been going from strength to strength on this island as it has been secure for over twenty years. In fact many people have made large profits in their Tenerife property investment. The growth of tourism in this Island has led to development of infrastructural facilities in sectors of sports, leisure and healthcare services. Being a duty free island, the cost of goods is considerably cheaper than mainland Spain and other European countries. Those looking for investments in property in Tenerife should visit the island in person to select the property that suits their needs. Use the services of a reputed and experienced English speaking estate agent known as 'inmobiliaria'. Many online sites reveal a fine selection of Tenerife property. The Dark brown park 'Loro Parque' opened in 1972 is a must see for the tourists. The park houses pelicans, jaguars, flamenco and lions, koi carps, monkeys, giant turtles of Galapagos. This theme park is also famed for its magnificent collection of parrots which is among the largest in the world. The marine life found in the Aqualand Costa Adeje Park includes more than three thousand water species. Pueblochico is the first city in miniature of the Canary Islands reproducing landscapes and emblematic buildings of islands in sixty scale models on 1:25 scale. The Guimar Pyramids in the south of Tenerife are complex pyramid structures astronomically positioned by winter and summer solstice. The Parque Aguilas or the Jungle Park has a spectacular variety of exotic birds. Tenerife airport is busy at all times of the year. Tenerife gets busier in the winter months as Northern European tourists flock here to take advantage o the warm winter Tenerife weather. Budget airlines have made it easier to find flights connecting Tenerife. There are a number of charter flights to Tenerife operated by tour operators. These flights are operated on specific days of the week with flights from various airports in UK. These flights are cheaper but fly on fixed durations only. Regular schedules flights to Tenerife can be booked from numerous airports in UK, Ireland and Scotland. One of the latest routes is Dublin with Ryanair along with Flyglobespan from Aberdeen, Durham Tees, Edinburgh and Liverpool. There are numerous companies offering car rentals in Tenerife. Facility to book the car for collection at the airport is also available and many tourists opt for this as it saves time and cuts down the transfer costs. Some of the leading names offering car hire in Tenerife are Betacar Tenerife, Auto Reisen Tenerife, Avis Tenerife and Cicar Tenerife. Car rental costs cannot be considered high in Tenerife and rentals include collision damage waiver, theft protection, third party liability, VAT, unlimited mileage and airport fees. Hire a special car and enjoy a scenic drive in Tenerife which could be a memorable experience. Excellent a la carte menu, entertaining theme nights and international gourmet styles can be found at most Tenerife hotels. Standard British fare, French, Flemish and German food and well-catered pubs are available at Tenerife. Beautiful ambience, facilities, private tropical gardens, spas, swimming pools and boutiques, magnificent park lands and botanical gardens, flower lined balconies, tennis and squash courts and gold courses, the five star hotels in Tenerife offer splendor and hospitality. First Published Date: Jun 9 2007 Last modified Date: April 25 2019 This page may have been updated recently as new information is available or the content may have been edited for better readability.